different rock stars talked about teachers they had lusted after in school in this beach culture article 'hot for teacher'. I loved this image of a 'teacher' sitting on some books, and the way the type lustfully leans toward her. 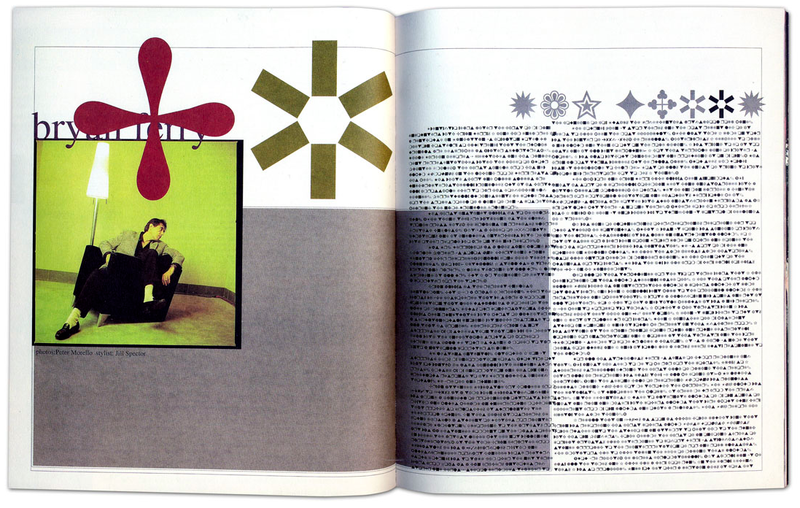 ray gun magazine - one of my favorites, an opener for a long article and interview with singer songwriter morrissey.